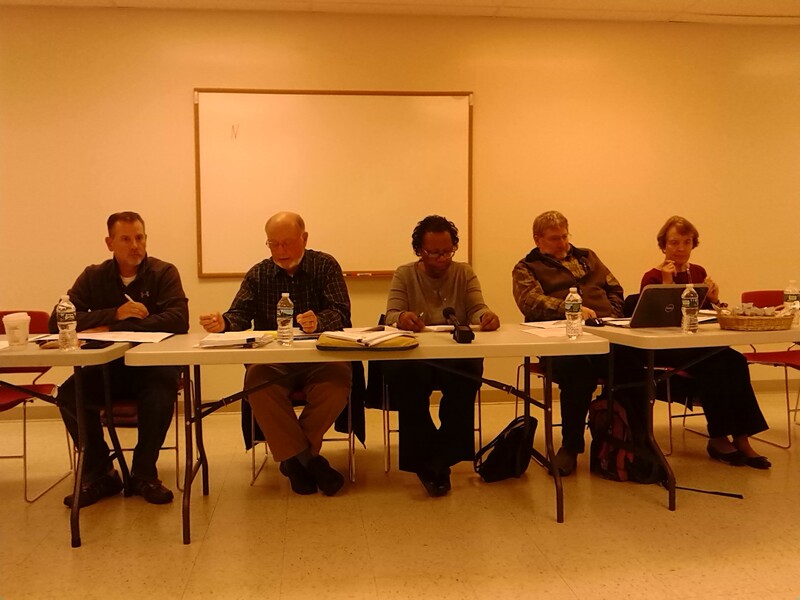 The New Castle County Parks Task Force met at the Appoquinimink Public Library on Wednesday, Nov. 8 and they are getting closer to determining the location of a new county park south of the C&D Canal. The results from the Task Force survey are now public and they received 524 responses. The most popular location is along Marl Pit Road at the county’s Water Farm II water treatment area. The rest of the locations in order are in Bayberry, Back Creek, Whitehall, and Wiggins Mill. Since the Marl Pit site is already being used by the county for water treatment and spray irrigation, much of the park would have to be in areas currently not being used by the county. New Castle County council member Tim Sheldon was at the meeting and made it clear that the county would not be buying new land for water treatment, due to the expense of buying new property as well as the county’s requirement for the general fund to reimburse the sewer fund if the property is not used for sewer. Task Force member Dave Carter presented a proposed map of what the Marl Pit Park would look like as the park would utilize areas not currently being used by the county. The site would have five separate parcels of land totaling around 200 acres that would be connected by walking or bike trails that would skirt along the spray irrigation fields and containment ponds. The area would require an updated land use plan and neither Carter nor councilman Sheldon are sure about the legal or imbursement issues of having the park utilize land purchased for a water treatment plant. The Task Force also put together the criteria they will use to make their recommendation. Among the highest priority is having a park in close proximity to a disadvantaged community. The complication for the MOT area is that this is a driving community and none of the locations are within a reasonable walk. Other criteria to be considered are services within 5 miles to drive to; size of parcel; natural features; infrastructure costs; whether the park is inside or outside a growth zone; and public support or opposition. Carter also mentioned that the county may look to partner with the future Odessa High School for recreational facilities, especially since the future high school is located east of Rt. 13 where there has been a request to have a park location. Also Carter mentioned the possibility of working with the town of Middletown at the site of the proposed Sports Complex now that the town did not receive an request for proposal after their recent RFP request. The next meeting has tentatively been scheduled for Mon. Nov. 27.